The kind of leader a man is at home determines the kind of leader he will be in the church. This is seen particularly in his parenting. Is he a good father, patient, compassionate, firm when he needs to be? Or is he too strict, totalitarian, dictatorial, and vituperative? Or perhaps he tends towards the other extreme: disinterested, disengaged, passive, and lax. It is important for all potential elders to have their parenting evaluated. Who he is as a father reveals who he will be as a shepherd. 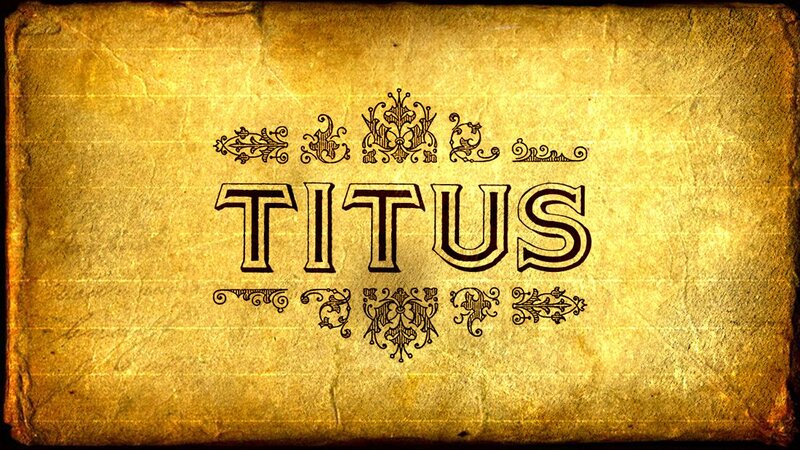 In addressing the issue of parenting in Titus, we run into many of the same problems that were addressed with his role as a husband. What exactly does Paul have in mind as he writes this. Several questions need to be addressed: (1) Is Paul saying that an elder must be a parent? (2) Is he saying that his children must be believers? (3) Is this applied without limit or limited to the duration of their childhood? These are three important questions to consider and wrestle with as we examine this qualification for eldership. Based on our previous conclusion regarding the “husband of one wife,” we can draw a similar conclusion here about his children. “Husband of one wife” does not necessitate that an elder must be married – for that would have disqualified Paul himself from being an elder. The same principle applies here, then, children is not a requirement of eldership, but rather that if you do have children then they are to conduct themselves appropriately. But this raises another important question about what it means for a child to “conduct himself appropriately,” as I have written. Does Paul mean that a child must be a believer? That’s the way many translations render the phrase. There’s a range of usage in the Greek word. It can mean “faithful” or it can mean “believer.” Context helps us determine appropriate usage here, and in Titus 1 there is a qualifying statement: not open to the charge of debauchery or insubordination. This phrase sheds some light on the best explanation of the Greek word. The emphasis is on behavior. 1 Tim. 3:4 has the same emphasis; Paul speaks there of a man who manages “his own household well, with all dignity keeping his children submissive.” So, George Knight says that “In both cases the overseer is evaluated on the basis of his control of his children and their conduct” (The Pastoral Epistles, 290). The concluding part of the verse demonstrates the negative behavior to be avoided: not in debauchery or insubordination. The best understanding of the word, then, is “faithful,” not “believers.” After all, a father has no control over his child’s conversion. He may influence and encourage their faith in the gospel, he may teach them truth, but he cannot make them believe. His leadership, then, should not be contingent upon things that only God can control. This does not mean, of course, that an elder’s children must be perfect. Sometimes, unfair expectations can be placed on a pastor’s family. Children are growing into maturation and need assistance in that, they will not always respond as they ought or be “faithful” in every situation. But there should be an evident pattern of submission to their father and the avoidance of major vices: debauchery and “dissipation” or “rebellion” (as some translations say). Finally we should consider whether this is true without exception or is limited to the time of a childhood. The Greek phrase carries the idea of “the possession of persons to whom one has close relationships” (BAGD s.v. I.2ba). That is to say, it understands “children” here to be those under the immediate care and authority of their father. As children age and move out of the home and start their own lives these same expectations no longer apply. A child who has, once he has left the home, become rebellious and indulging in a sinful lifestyle should not be held against the man seeking eldership. He cannot control his adult son or daughter. So the principle is limited to the time of childhood. Fathers are like pastors in their homes. They serve to lead, train, and care for their children in ways not entirely dissimilar to the ways a pastor is called to lead, train, and care for his congregation. There are obvious break downs between the comparison, but if a man cannot lead his family well he will not lead the church well. This is why, too, churches should encourage and promote healthy relationships between their pastor and his family. The kind of job that requires a pastor be constantly absent from his family, devoting all his time to ministry and care of others, will find that they eventually have a disqualified pastor. Likewise pastors must be intentional about their time and committed to quality time with their family. Saying “no,” and refusing to respond to every e-mail and phone call when at home is important. It’s important for his family and it is important for his church. A qualified elder is one who parents well. Whatever leadership, rhetorical, or exegetical skills a man may have, if he is not a loving and disciplined father he will not be a good pastor. Consider a man’s parenting before you call him. Keep a close watch on it after you’ve called him. Encourage his familial relationships and lovingly hold him accountable to them. A good pastor is also a good parent.